The Difference the Truth Makes…. It’s been so heavy on my mind to write about the difference in young adoptees and older adoptees learning their truth. I know so many adoptive parents wait and have their own reasons for keeping quite about their child’s history, identity, roots, biological family, etc. They have reasons why they don’t “come clean” about all the information they have in regards to their adoptive child. Many years ago, many of them were told to keep quiet, because back in the “Day” that was supposed to be the best thing for everyone. 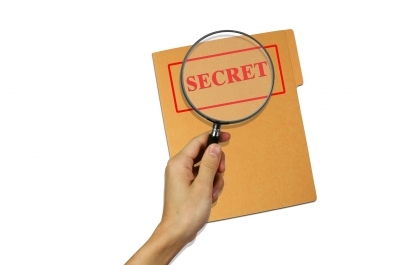 Many adoptive parents have taken this very vital and critical information to their graves, all because they were told keeping it a secret was the best thing to do. Many adoptees find out their truth after their adoptive parents pass away, and long hidden documents are uncovered, somewhere in all their belongings. Many adoptive parents are insecure about sharing that information for fear or “losing” whats “theirs”.. Yes, many adoptive parents look at their adoptive child as “mine” as if we’re speaking of a piece of property. Well times have changed, and things are different now. What was one always kept a secret is coming to light. Secrets and lies aren’t from God. If it’s not from God, it’s from the devil. Adult adoptees are speaking out on how this secrecy has impacted them over the years and they are sharing about the damage these secrets and lies have done. I am one of those adoptees. I’ve accepted so much of my adoptee journey but one thing I am unable to accept at this point is the fact that PEOPLE, (anyone involved with or supporting adoption) stood in the way of me having a relationship with my biological siblings. Yeah, my birth parents rejected me, but my new found brother… He happened to be the best part of my search and reunion. Every single day I am saddened because I lost so much with him. I tear up and can’t help feel the loss associated with PEOPLE making this decision for my life. Of all the heartache of my adoption experience, my long lost brother has been the pot of gold at the end of the rainbow. I should be HAPPY ALL THE TIME ABOUT ME FINDING HIM! Yet, the sadness of what was lost seems to overpower my happiness. This is part of the reason I write. I need to share my feelings, my truth about what adoption has done to me. The great part is, I HAVE HOPE. Jesus gives me hope, that my heart will heal and things will get easier. Right now, I’m really sad deep down. I wish I had a switch to just turn it off. I would. I don’t know the answers, but what I do know is that the TRUTH is what will set every adoptee free. Not the sugar coated TRUTH, or half of the TRUTH. Marginal Deception isn’t going to work here. We need ALL OUR TRUTH because we all deserve it. 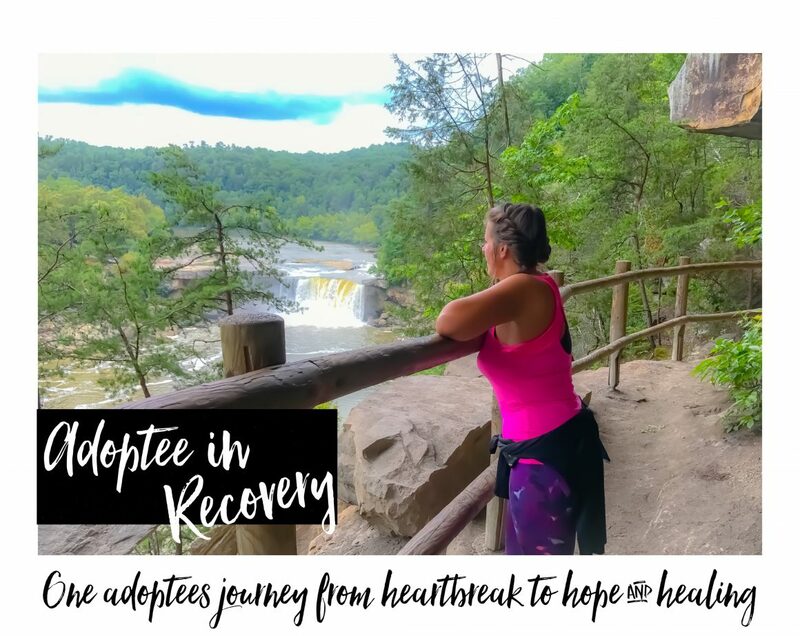 I understand our adopters wanting to protect us, but I will always resent ANYONE who stood in the way of me knowing my truth which in return has allowed me to ignite the healing process. If I knew my truth at a younger age, I can’t help but wonder how different things would have been. I could have celebrated birthdays with my brother, and holidays. I could have seen him graduate. I would have been at his weddings and been there for the birth of his children, who are my flesh and blood. I’m pissed people took this from me! Every single day that passed not knowing my truth, I lost. My entire existence was based on loss. Yes, I was adopted. I’ve accepted that. What I am writing about is those who decided for me that I shouldn’t know my first family, my truth. I can maybe understand if I was under 18 years old, even when I was searching for my family & my identity from the second I found out I was adopted. I was 5 years old. My life would never be the same. Thank GOD I was told. My heart breaks for the late discovery adoptees! I believe the younger I learned my truth, the less I would have LOST. I believe ALL adoptees deserve their answers. I get happy inside to see younger adoptees learning their truth. In order to appreciate this, they would have to experience missing close to 40 years of memories that can’t be replaced, and there is no reason for it accept SOCIETY and my ADOPTERS have blinders on about the damage this can cause. I’m not saying it’s any easier on the younger adoptees, not at all. What I’m saying is EVERY LOST MEMORY COUNTS!!!!!!!!!! EVERY DAY THAT PASSES COUNTS. EVERY CONVERSATION COUNTS. Please believe that if I would have found my biological brother when I was much younger my memory bank would be much fuller than it is today. I will always be thankful I found him, but I will always have a hole in my heart that can’t be filled due to almost 40 years LOST. One day, I pray I get to a place of acceptance, but today I’m resentful about it, and I have no one person to blame. It’s adoption as a whole, and I am writing so adoptive parents and those who are impacted by adoption in some way can understand that the sooner we find our truth THE BETTER. No one should stand in the way of us learning our truth. If you have insecurities as an adoptive parent, go see a counselor. We shouldn’t have to lose because of your insecurities. What it leaves us is with nothing in the end. I’ve distanced those who have stood in the way of me knowing my truth, with my adoptive mother being the main person. She lied to me my entire life, and I can’t have a relationship with her because of it. Wouldn’t you rather support your adoptive child and tell them the TRUTH AS SOON AS IT’S AGE APPROPRIATE about EVERYTHING in regards to their history and life than LIE and take the chance of losing them for good? I’m telling you, that 18 years passes REALLY fast, like a vapor! Coming from an adult adoptee who’s lived it, I would have loved the support of my adoptive parents. Unfortunately, my adoptive mothers insecurities got in the way, and she made it all about her. (narcissists usually do that!) It was never about me, and always about her to begin with. I can’t forget this, but I have forgiven her. I cannot have her in my life because too much was lost because of her. I have no mother & it breaks my heart. It’s always a reminder of what adoption took. Let me just say, this is my life. These are my feelings. All you are doing is reading it. You will leave this blog, and carry on with your life. Try LIVING it for the rest of your life like adoptees have to? Have some compassion for how we feel and open your heart to LEARNING how adult adoptees feel. I write to help adoptees know they aren’t alone, and so adoptive parents can LEARN. The key is, they have to have the willingness to WANT TO LEARN. Let me share, I live a pretty happy life. I have an amazing man, great career, 3 fabulous children, yet deep down the pain is still there and ALL OF IT is in regards to my adoption experience. Please take note of what I have written here today and open your heart and mind to receiving how your adoptive child may or may not feel. Just because they “appear” to be happy doesn’t mean deep down their heart isn’t broken. We are conditioned from a VERY early age that we shouldn’t have sad feelings about losing our mother & first families. What makes you think as a child grows up, the light bulb goes on and all of a sudden we’re able to identify those feelings? We have to break away from our adoptive families, and once we start to develop our true self by learning our TRUTH we start to figure things out on our own. We will NEVER feel comfortable sharing our deepest saddest feelings about how it feels to be adopted with our adopters, because we don’t want to hurt them. This is the TRUTH. So please don’t think because were all smiles, our hearts aren’t breaking deep down. At a very early age we’re told to shut our sadness off. It’s hard to come out of this. Try losing a child and being told to be grateful for that loss. Can you imagine having to live your life being grateful for such devastation let alone multiply it to equaling an entire family? The sooner adoptees learn their truth the sooner they can begin to heal and accept the truth for what it is. We can’t heal when we are being told the half truth and lies. Some of us come from horrific backgrounds and we have “stories” no adoptive parent wants to share with their child, but when we are adopted, so is our story. No matter how horrifying it is, we deserve to know our truth. I can’t say it enough. You can’t heal a wound by denying it’s there. I’m happy to have this place to share my feelings about how it feels to be adopted. No one has ever asked in 40 years of living how I’ve felt. I’ve lived it, and this is my truth. I pray those who make it this far are receptive in hearing the truth, and in return do whatever they can to make sure adoptees receive their truth. Every day counts. The younger the better, because every moment and memory missed can NOT be replaced. Next Funerals, Death, Loss & the Adoptee, Only Speaking for Me! Kudos from an adoptee sister…you make so many insightful points. I was “reunited” in my early 20’s but now, 20 years later, I still have these same feelings you speak of. The disenfranchisement of adoption is abusive.